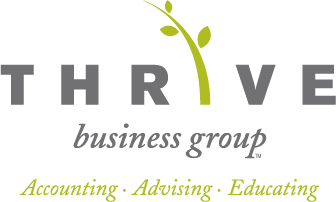 At Thrive Business Group, a Bellingham CPA firm, we recognize that many growing businesses need the advice and support of a financial professional from time to time without the additional expense of hiring a full time CFO. That's why we offer outsourced controllership services to Bellingham businesses in need of support with issues like strategic planning, financing, oversight of accounting and IT, budgeting and other needs. We will work with your business to customize our CFO and controller services so you will only pay for the services you need. With the guidance and support of a professional financial manager, you will begin to make better business decisions, clarify your business plans and free up valuable time to grow your business, all for less than hiring a full time CFO. Send us an e-mail or call us today at 360-746-8738 and ask for Siobhan Murphy to discuss your business needs with an experienced Bellingham CPA.